Animal Friends: A Love Story: Romeo and....Gucci? We have a wide array of animals that come into Animal Friends. Some small, some large, and even some extra large! 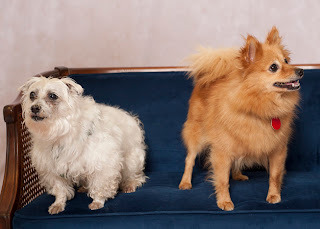 Right now, we have two very special little dogs that we like to refer to as one of our “odd couples.” Their names are Little Gucci and Little Romeo, which are very big names for their very big personalities! 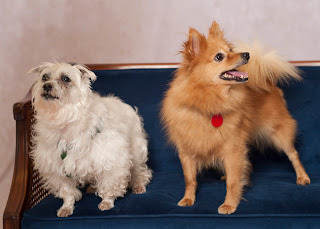 This odd couple consists of Little Romeo, a 10 year old Maltese, and Little Gucci, who is a 3-6 year old Pomeranian mix. They came into us together through our Humane Investigations department where they were found housed in a dog crate 24 hours a day, 7 days a week. They both looked as if they never had any proper grooming in their lifetime and possibly no proper veterinary care. Luckily, they came into the loving arms of our veterinary and animal wellness staff to receive proper care and finally feel safe, warm and loved. At first, we separated Gucci and Romeo and found that they were both, understandably, very stressed when they weren’t with each other. We then started housing them in the same kennel, and it is so sweet to see them all snuggled up next to each other in their beds. They have such a strong bond with each other that they keep their eye on each other's every move when walking on our trails. Even at offsite events, they always check in with each other when they are separated. These two are “Little” dogs have very different personalities which compliment each other beautifully. 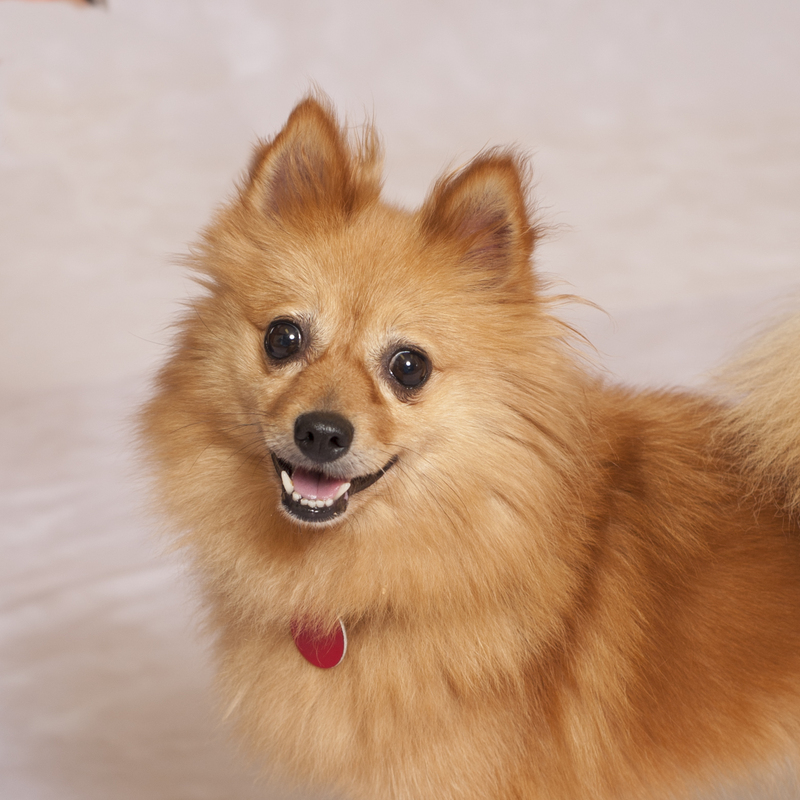 Romeo is a snuggler and he likes to sit on your lap and relax, while Gucci has a very sparkly personality! Gucci is very playful and goofy but will also relax and sit on your lap after a play session. 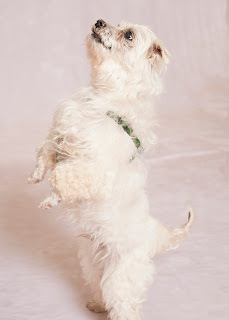 Romeo has reportedly done very well with other dogs that he’s been around. Gucci can be a bit of a bully, showing some dominant behaviors with the other dogs. Although they’re adorable and very sweet, they are having a hard time finding a home together. If you’re looking for two easy going “Little” dogs, they’re here at the shelter waiting for a loving, safe home, together. Romeo found his Juliet (excuse us, Gucci!) and now they’re waiting for their forever home. Could it be yours? Throughout the month of October ('til October 31st), all dogs ages 2 and up will be available for a reduced requested donation of $30! As always, our thorough adoption process still applies to ensure lifelong, loving homes. If you are interested in opening your home to our "little" guys, please contact our Adoptions Department at 412.847.7002.